Web proxy has encryption functions but it can’t support many sites. HTTP proxy is faster than web proxy and support all the sites. But it has no encryption. Web proxy and HTTP proxy are two common methods for anonymously browsing. Many people use them to hide their real IP and protect online privacy. However, which one is faster, more reliable and better for surfing? Web proxy is the easiest way to hide IP. Web proxy is a website with a address bar. Just input the URL of blocked site into that bar and click the “Surf” button. Web proxy will fetch the web page for you showing on its own site. You can try our web proxy here. HTTP proxy is a IP:Port pair (ex. 23.145.98.5:3128). All the browsers (Chrome, Firefox, IE, Safari and others) support the proxy option. When you set a proxy in browser, the proxy will fetch the web pages for your browser. 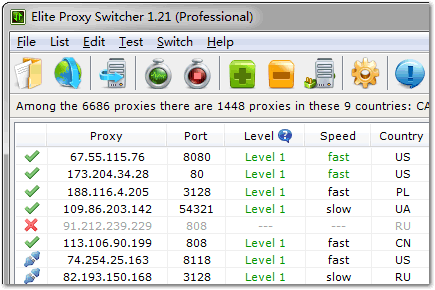 The websites regard the IP of proxy as your IP so it cannot trace your real IP. For that reason, web proxy have to redirect users to the mobile/lite version of facebook, twitter, gmail, hotmail and yahoo mail. Web proxy can’t support the full functions of them. In contrast, HTTP proxy supports all the websites perfectly. It’s because HTTP proxy is the built-in function of browser while web proxy is a website to simulate a proxy server. Web proxy needs to rewrite all the links of pages. It parses the html, style and script files of pages then rewrites all the links. It takes much time to do that. HTTP proxy doesn’t modify the pages. It only fetches pages for browser so it’s much faster than web proxy. Moreover web proxy is usually written in PHP or CGI which is slower than C/C++. Most HTTP proxy is written in C/C++ so it’s faster. HTTP proxy only fetches the pages for browser. It can’t modify the pages so it can’t encrypt the traffic. In contrast, web proxy can encrypt the URLs as well as the pages. There may be problem if you enable page encryption. With URL encryption, you can bypass most firewalls. HTTP proxy is faster than web proxy and compatible with all the websites. But it doesn’t have encryption function so it can’t bypass the firewall with content filtering. 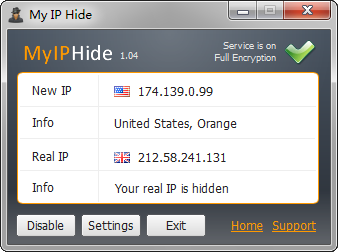 Our service My IP Hide is a enhanced proxy service. It adds the encryption function into HTTP proxy service. It can set the proxy options of your browser automatically. You need not to do any settings for your browser. My IP Hide has all the advantages of web proxy and HTTP proxy. It’s the best method for anonymously surfing.